New to the area? Looking for an activity? Want to play sports with best league in town? The HUB registers hundreds of individuals each season at every skill level interested in getting on the field. Whether you have been playing for years or never played before, joining as an individual player is the perfect opportunity to meet new teammates. If you have a group of friends, roommates or co-workers and are looking to join a sports league but don’t have enough to make a full team, not to worry, the HUB has the solution for you. Create a small group and the HUB will match you with other groups or individuals to form a fun new team. Whether you’re team building for your company or entering a team of friends that has been playing together for years, joining the HUB as a Full Team is the perfect option for you. As team captain you control your roster and ultimately your destiny! Your captain has signed your crew up as a Full Team. Joining an existing squad as a Team Player makes you officially part of the roster, completes your player waiver, and allows you access to get up to the minute game day notifications via text and email. FREE AGENTS – If you joined The HUB as an Individual Player then you are all set! SMALL GROUPS – If you joined The HUB as part of a Group then you should invite your friends to sign up under your group name at least 7 days prior to the start of the season. Login to your account and click the “Invite” link next to the program you just joined. FULL TEAMS – As Team Captain you will need to invite your teammates to join your roster. Login to your account and click the “Invite” link next to the program you just joined. Your teammates will need to create a HUB account to join your roster. Be sure to have everyone join your team at least a week before the league starts to ensure player eligibility. Only players who are on your roster are eligible to play on your team. If you join The HUB as an Individual Player or part of a Small Group rest assured that we are working on building a well balanced team of players of similar skill level. If you have friends looking to join with you, make sure you let them know to sign up as early as possible so they don’t get shut out, as all leagues are first come first served. Once you join the HUB you will begin to receive email notifications from HUB staff. You will start by getting a receipt for your registration payment. Then you will get an important dates email letting you know all of the key upcoming dates leading up to opening day. All leagues are first come first served. Payment is due prior to the start of the season. Registration generally closes 7 days prior to opening day. The first week of the season schedule is generally released 2-5 days prior to opening day. The balance of your season schedule is released shortly thereafter. Meet the HUB Staff to review game rules, league policies and answer all of your questions. Get your team’s supplies while pizza and drinks are served. Game supplies, team shirts, HUB duffel bags, HUB tote bag and playbook pens are just some of the things you get at the start of every season. Every league has playoffs. Check your league page to see eligibility rules and format. 1st and 2nd place prizes include trophies, championship shirts, and varying by season – beer mugs, shot glasses, water bottles and a variety of other cool stuff! 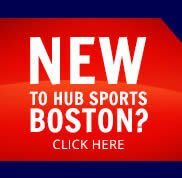 The HUB offers a variety of discounts for teams who play season after season. From Returning team to Combo discounts, from Roll into Summer to Triple Play discounts, the more you play the more you save!